The good news is that Friday’s surgery on Anderson Varejao’s torn Achilles tendon was reportedly a success. The bad news is that there is a very real chance that we have seen the last of Varejao in a Cleveland Cavaliers uniform (or any NBA uniform for that matter). Varejao, who was averaging 9.8 points and 6.5 rebounds, will miss the remainder of this season and based on the history of NBA players returning from Achilles injuries, if he does come back he may not be the same player. The study looked at the 18 NBA players who suffered an Achilles injury from 1988 to 2011; of those players, seven never played another game. The average age of the players who were injured was close to 30, not good news for the 32-year-old Varajeo. Of the 11 players who did return to the court, eight of them played at least two seasons following their injury only to see their performance drop significantly. Looking at the group’s player efficiency rating, the researchers found that the eight returning players had an average rating of 11.69 – a drop of more than four points from their pre-injury rating of 16.1. In comparison, similarly rated basketball players of the same age – who did not suffer an Achilles injury – saw their efficiency rating decline by just over one point. There is a positive note in the study that should lend some hope to Cavs fans as the injured players appeared to perform as well as non-injured ones when it came to rebounding and shooting – good news for a big man like Varejao. 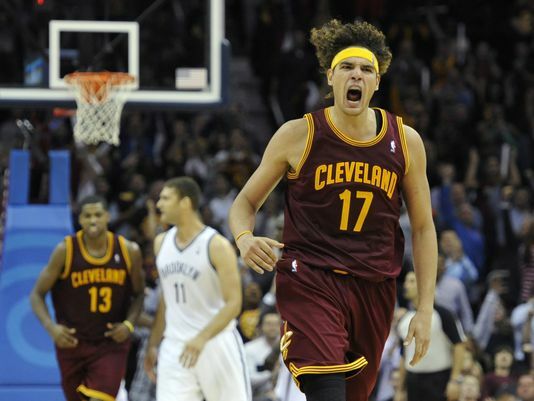 That is also good news for the Cavs, who own Varejao $29.7 million in guaranteed money through 2016-17. If this is the end, it’s a rough way to go out for a fan favorite who has spent his entire 11-year career in Cleveland. Varejao has seen the highs – the 60-win seasons and a trip to the 2007 NBA Finals – and the lows – the Byron Scott era and multiple trips to the lottery – during his time with the Cavs. Here’s hoping there are still a few memories left to be made for him with the club.